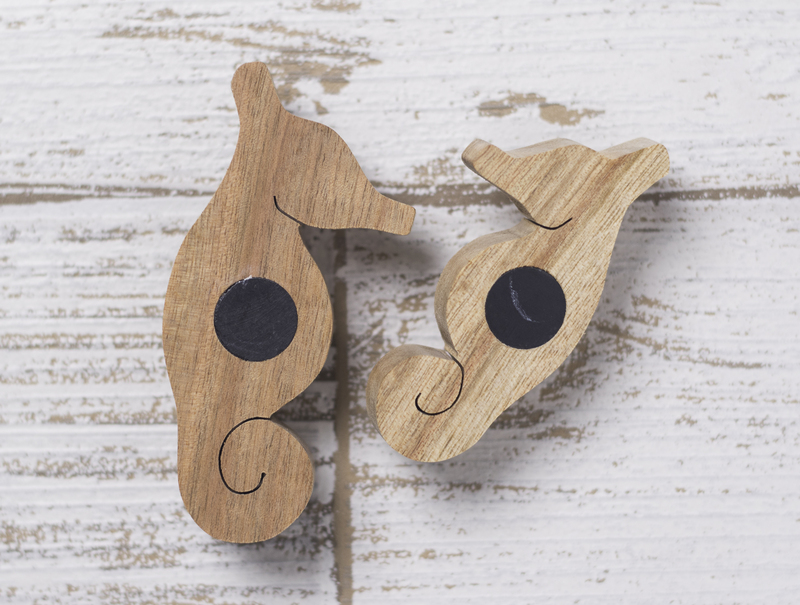 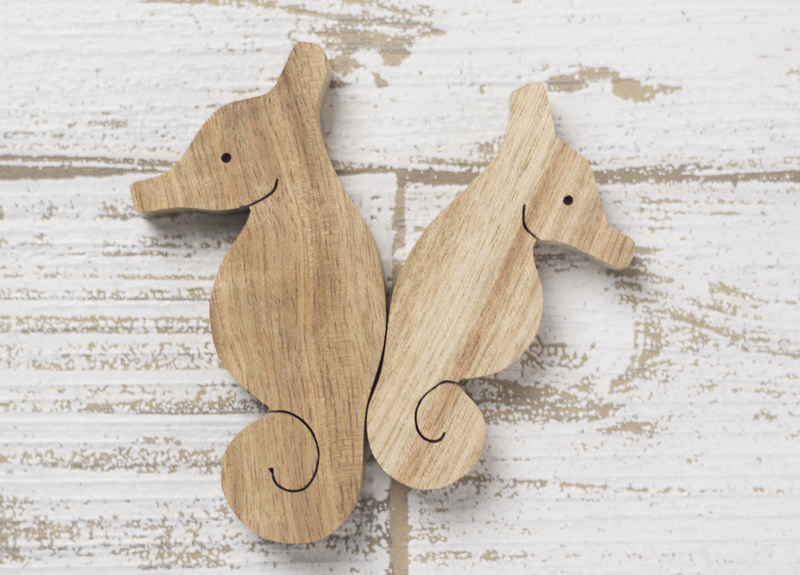 This version of the magnet features a sea horse with its child and is made of camphor wood grown in northern Okinawa Prefecture's Yanbaru Forest. 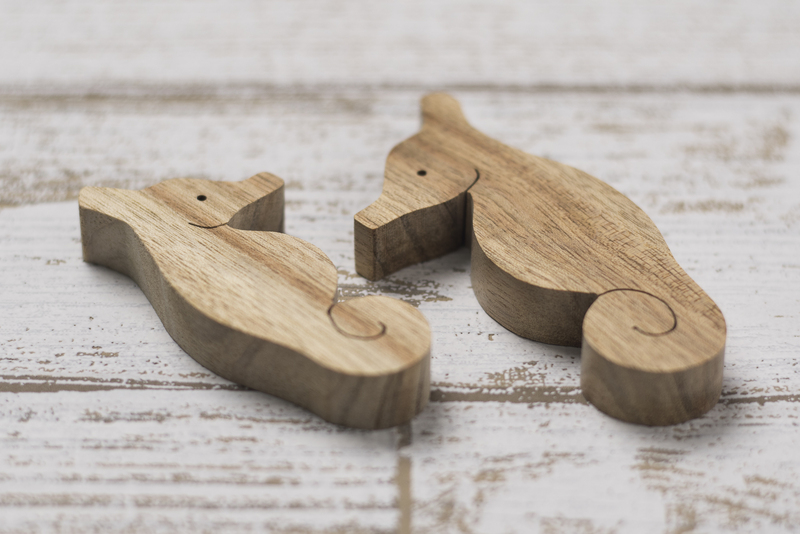 Unique to this product is the fact that the wood of the camphor tree is quite fragrant, and the different colors of different parts of the tree make for an enjoyable display. 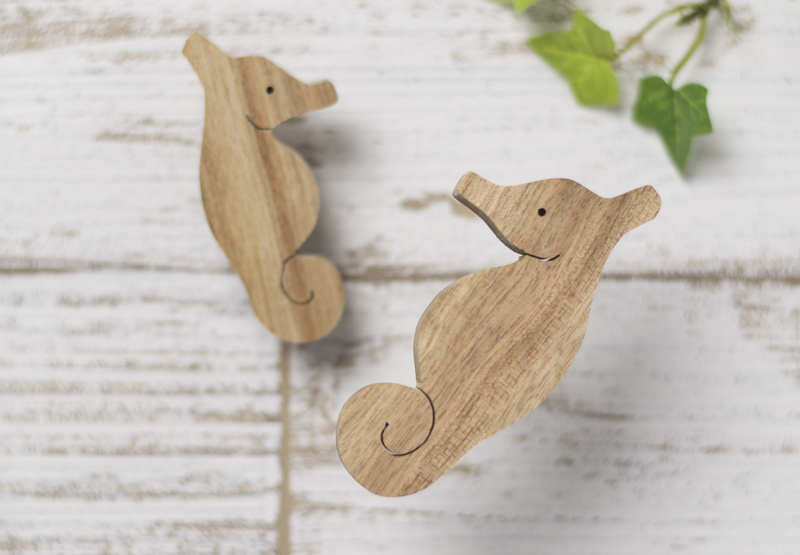 The sea horse couple version also makes for a perfect wedding memento.